After the first nine months of 2015 the minicar segment is still up by 10%, as it has been all year. It has been helped by a number of newcomers and model changes, which have also slightly eaten into the share of the segment leader Fiat 500, which sees flat sales as it’s been updated ever so slightly. Fiat obviously doesn’t want to mess too much with the model that’s kept it afloat for the last half a decade. The 500’s sibling Fiat Panda does better than the overall segment and closes in on the #1 spot it held until 2012. The minicar segment in Europe is still up 10% in the first half of 2015. This means sales of the smallest cars are growing faster than the overall market, which is up 8%. The top-3 of the segment is still unchanged, as the Fiat 500 keeps improving to almost 100.000 sales in six months, even though it’s been on the market since 2007 and a minor facelift is coming up (pictured). Its sibling Fiat Panda shows an improvement of 11%, increasing its share of the segment to the highest level since 2012. This strength of the Fiat models is largely thanks to the recovery of the Italian car market, which is the continent’s #1 minicar market, as well as the natural habitat of the 500 and Panda. European sales of minicars, also known as A-segment cars, are up 10% in the first quarter of 2015, after being virtually flat in 2014. The introduction of a handful of new and redesigned models in the second quarter of last year has helped the segment grow faster than the overall European car market. The Fiat 500 is now in its 8th full year since its introduction without any major redesigns, continues to improve on its best-ever year, although sales of the stylish Italian grow slower than the rest of the segment. Its sibling, the Fiat Panda closes in on the segment’s top spot it traditionally held until 2013. European sales in the minicar segment have climbed back into the positive over the full year 2014, although the increase is just a meager 1% on 2013, or 8.170 units. This is a result of the flood of new models that arrived in showrooms late last year, which should help the minicar segment grow faster than the overall market in 2015. 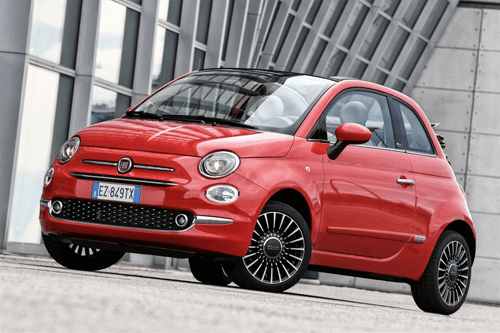 Despite its age, the Fiat 500 not only consolidates its leadership of the segment by adding the most sales of all models, it also breaks its 2009 annual sales record to make 2014 its best year ever. The 500 all by itself sells more cars in Europe than the Peugeot 107/108, Toyota Aygo and Citroën C1 triplets combined, and doing so at (much) higher transaction prices. And with the Panda remaining stable in second spot, Fiat increases its share of the minicar segment to over 27%.